In a nutshell, iPhone 6 users will be able to pay for things with their mobile device without the need for a special case thanks to the new built-in NFC antenna. 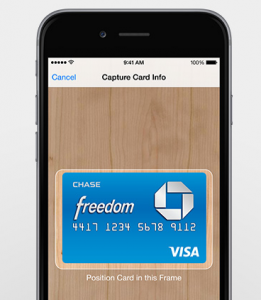 Simply take a picture of your physical credit cards using the phone’s iSight camera and then they’re ready to use. You can also add existing credit cards from your iTunes account. From there, you select the card you’d like to use from your Passbook and hold it up to the merchant’s scanner and use your Touch ID to complete the transaction. 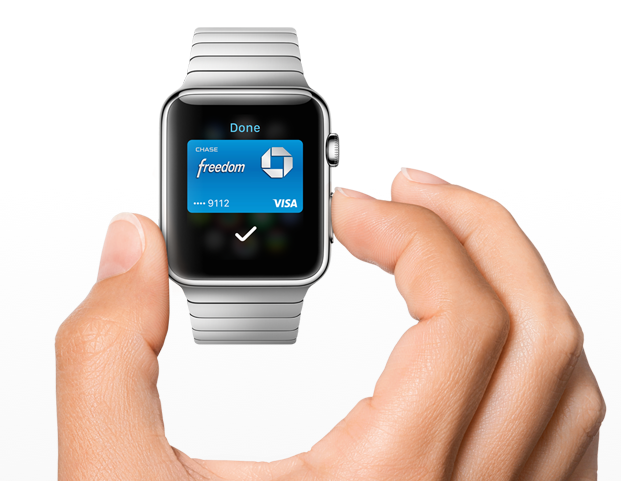 For the record, you can also use the “Apple Watch” to pay, though that won’t be available until early 2015. And you still need a paired iPhone 5 and up to use it. Not only is it fast and easy, it’s also more secure because nobody sees your credit card numbers and security codes. Each transaction is authorized by a one-time unique security code that replaces that static one on the back of your physical credit card. Additionally, the number is never stored on Apple’s servers or shared on your device. Apple claims it won’t even know what you bought, where you bought it, or how much you paid for it. It also comes in handy if you happen to lose your iPhone. You can use the Find My iPhone app to suspend all payments until you find your device, instead of having to cancel your physical credit cards. 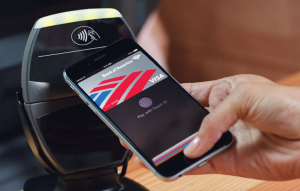 Apple Pay will work with the three major payment networks, including Visa, MasterCard, and American Express, and will debut in the United States in October for iPhone 6 and iPhone 6 Plus users. International acceptance will likely follow. It works with the top bank issuers that handle 83% of credit card purchase volume, and Apple says there are more than 220,000 merchant locations with existing contactless payment technology. Some companies Apple mentioned include Macy’s, Panera, Whole Foods, McDonald’s, Nike, Disney, Staples, Petco, Uber, Starbucks, and so on. 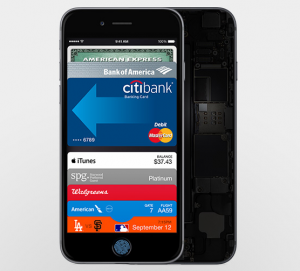 I expect many more companies to get on board as Apple Pay skyrockets in use. Also Use Apple Pay to Buy Online! 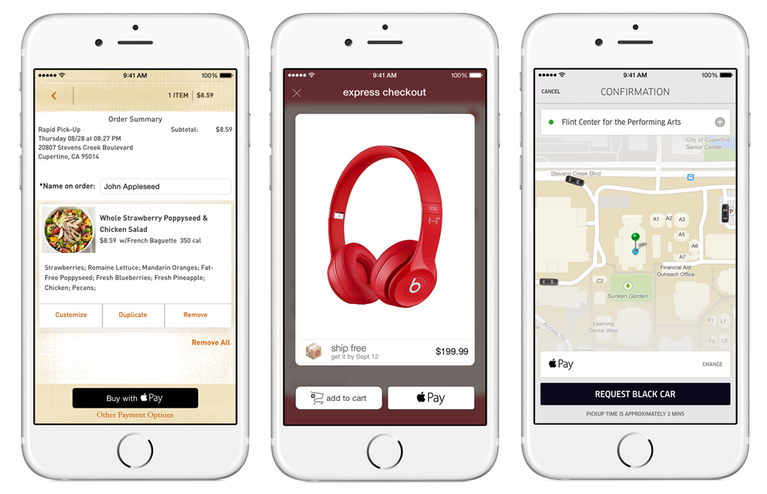 Another huge feature is the ability to use Apple Pay to purchase things online as well. 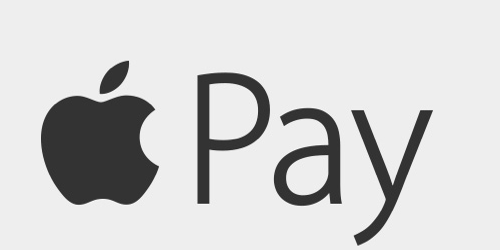 So instead of having to put in all your payment details every time, you can use Apple Pay there as well. You’ll be able to take advantage of one-touch checkout, meaning no credit card number entry, no need to type your address, and most importantly, no card information shared with the merchant. That will certainly save a lot of time and make online payments a lot more secure. In fact, it may even revolutionize mobile shopping. People will actually be able to checkout on their mobile devices, instead of shopping from their phones and completing transactions on their laptops or desktop computers. That to me is the biggest game-changer. For the record, I currently own the iPhone 5s and have the Isis Wallet, which allows me to do what Apple Pay will do for iPhone 6 users. The only downside to the Isis Wallet, now known as Softcard, is the terrible hard case I’m forced to use. If it weren’t for that, it’d be a worthy contender. But Apple Pay might well kill off the competition (sorry Coin) with this new feature and I expect mobile payments to get a whole lot more popular thanks to Apple finally joining the fray. Next Next post: Your Wedding Could Be a Credit Card Point Earning Bonanza!